Martijn Konings is a lecturer in Political Economy at the University of Sydney and teaches in the United States Studies Centre. Martin has published widely on American and global finance. 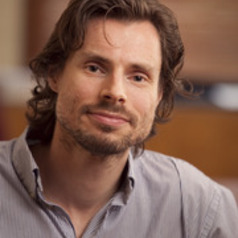 His current research interests relate to the changing ways in which households are connected to financial institutions, shifts in pension funds' investment strategies since the onset of the subprime crisis, and the need for political economy to enrich its understanding of core economic categories by drawing on perspectives in social psychology and psychoanalysis.